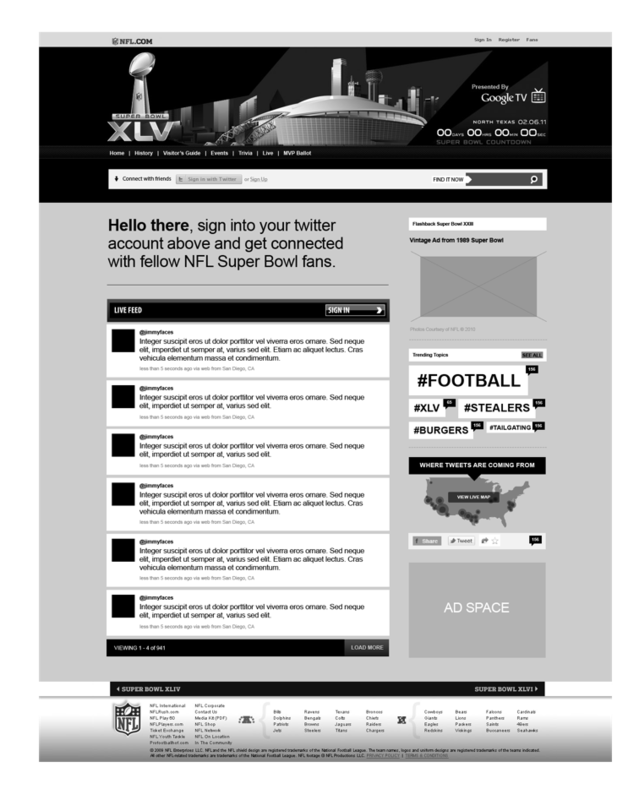 Twitter has always been used to report and react in real time to events that interest us all. 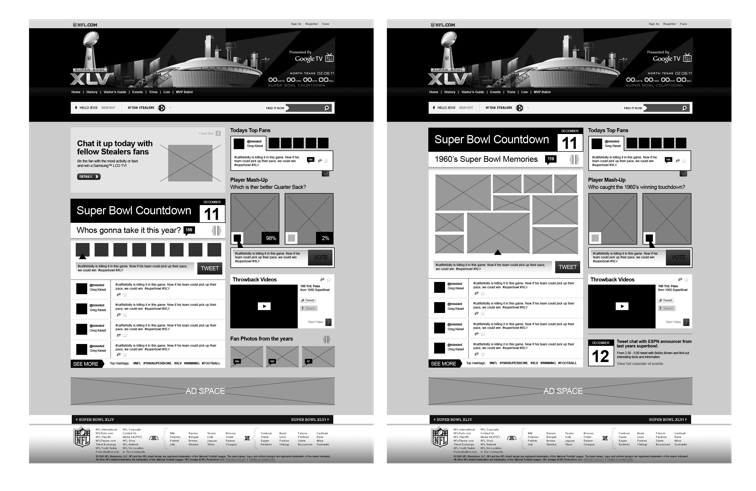 The 45th Super Bowl was no exception. 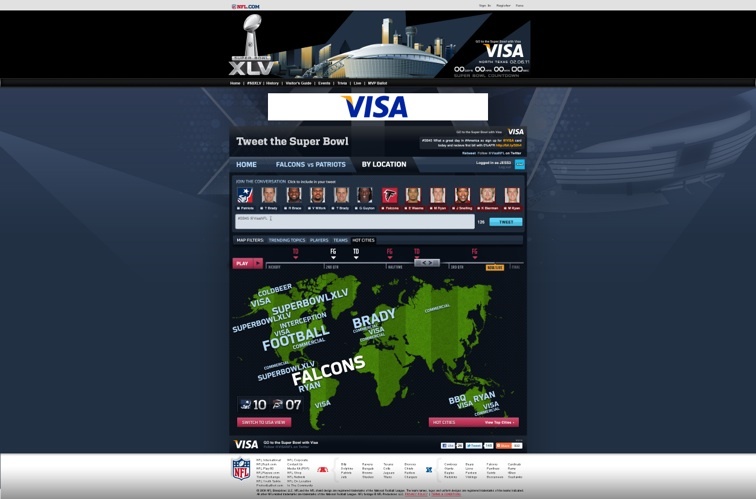 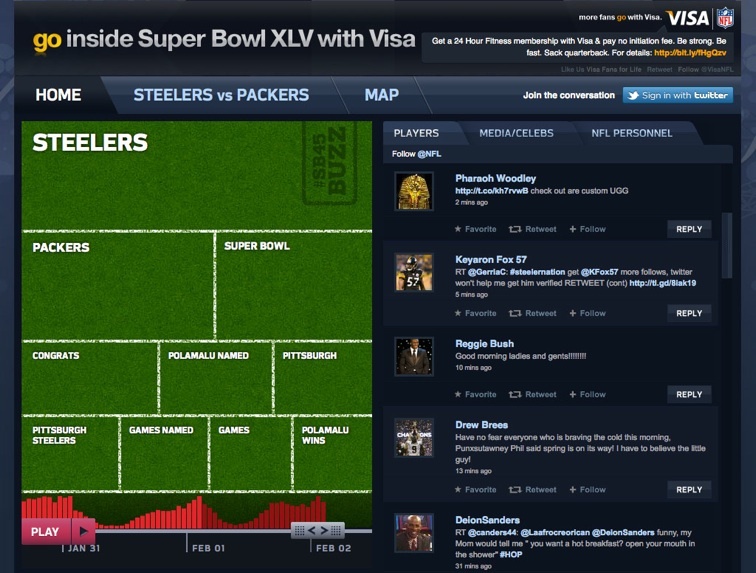 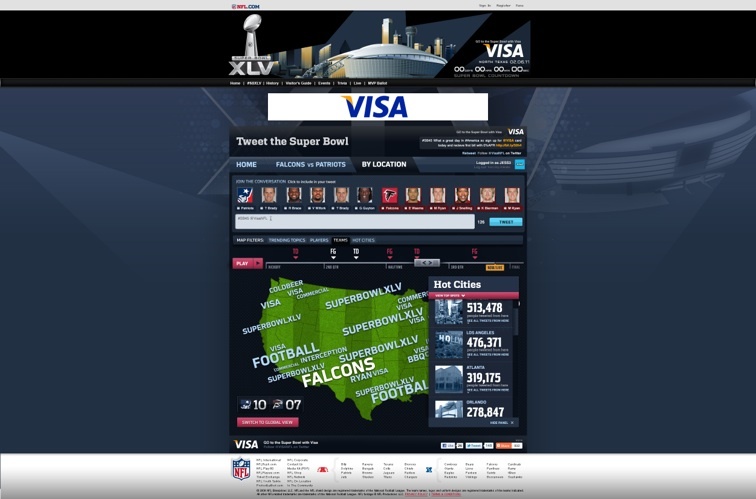 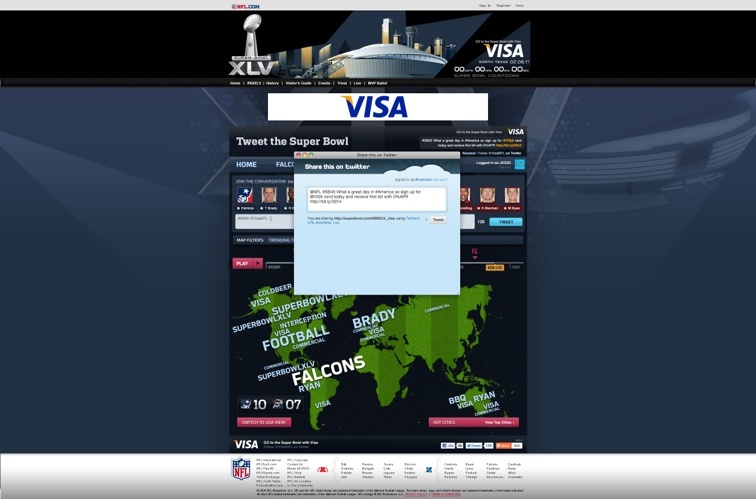 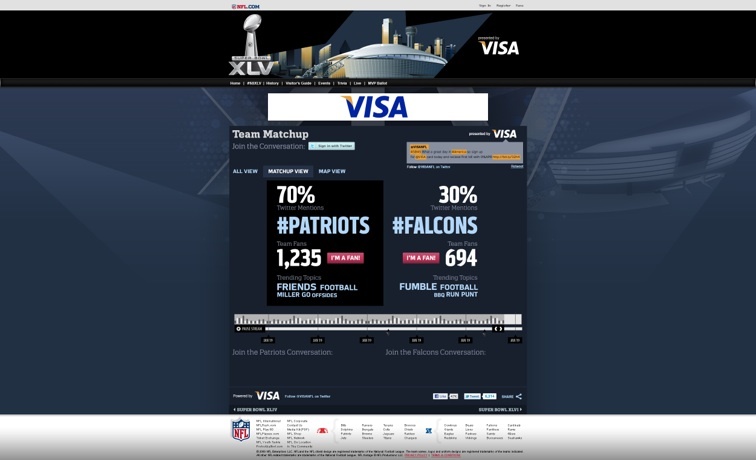 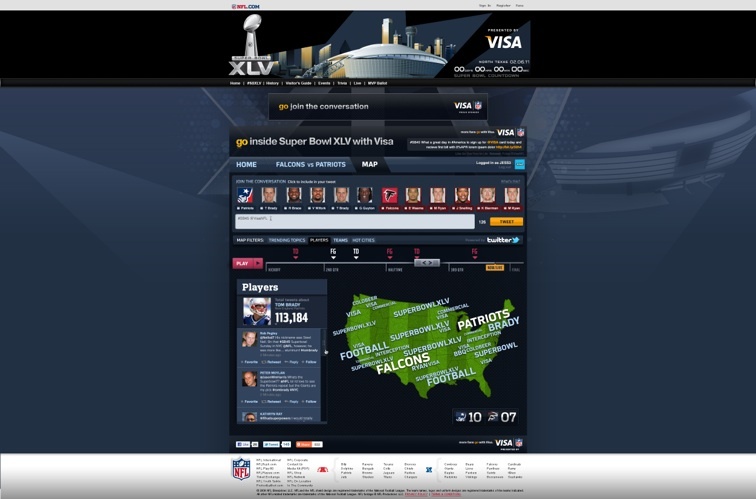 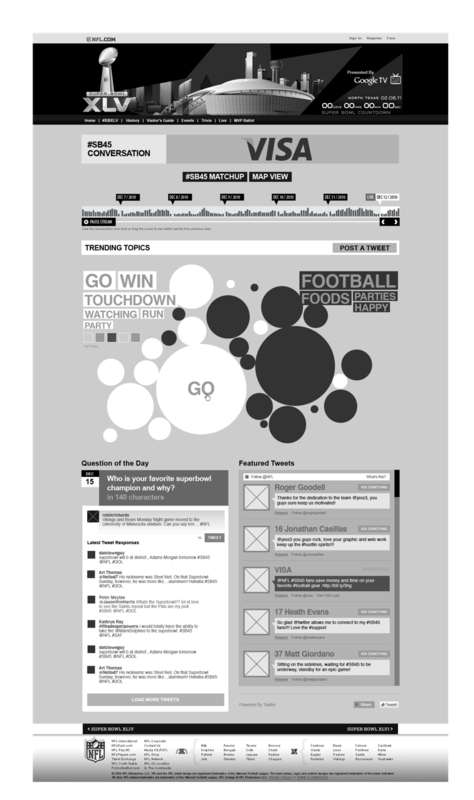 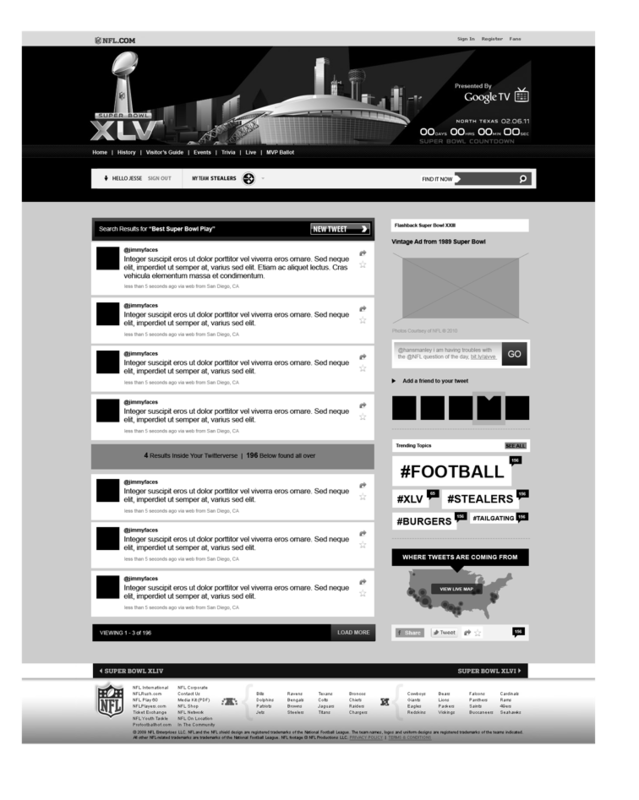 As a preferred agency partner, Twitter brought in JESS3 to support their tweet visualization project with the NFL and Visa. 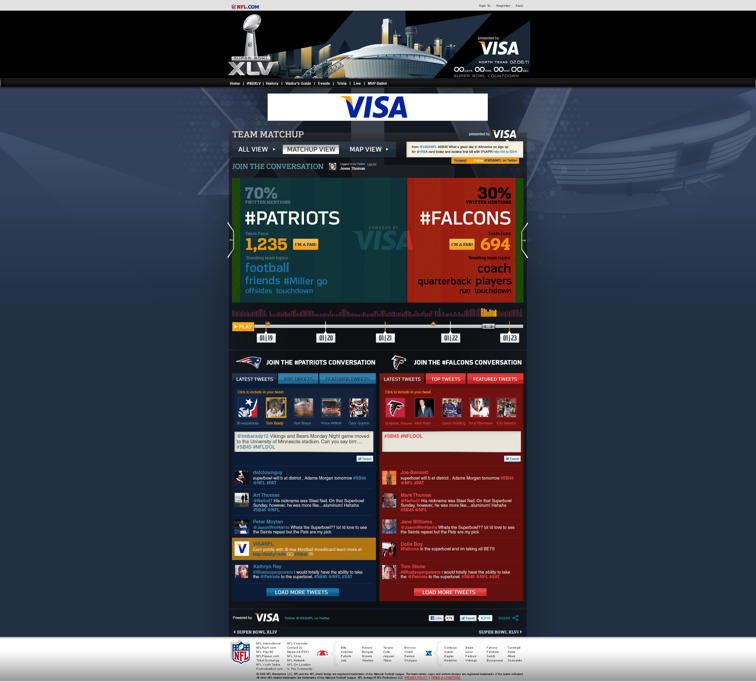 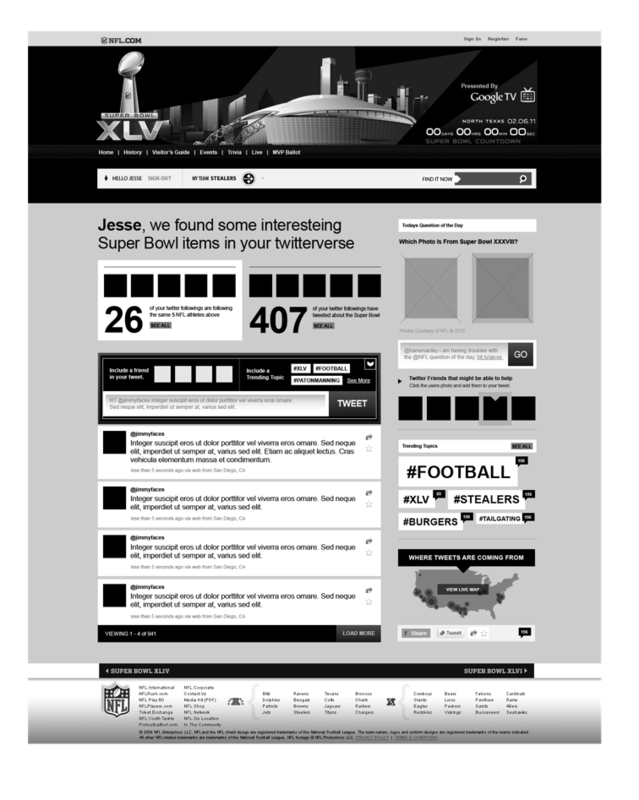 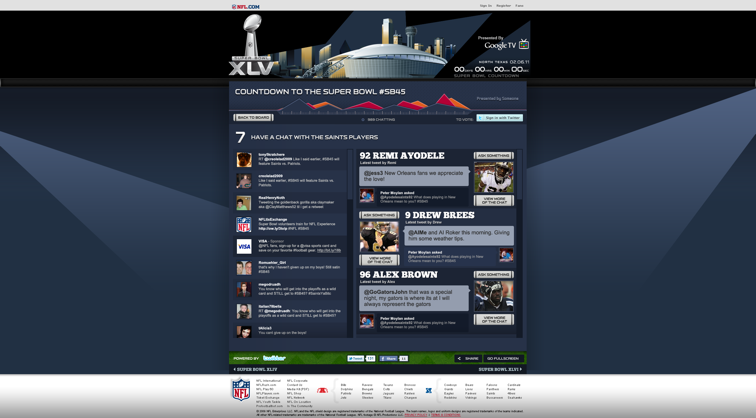 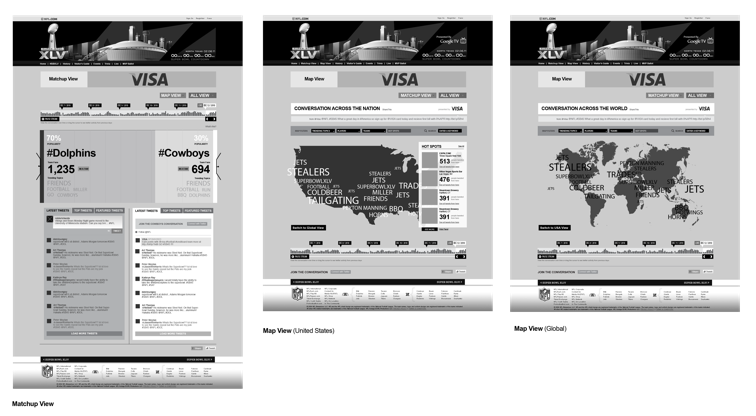 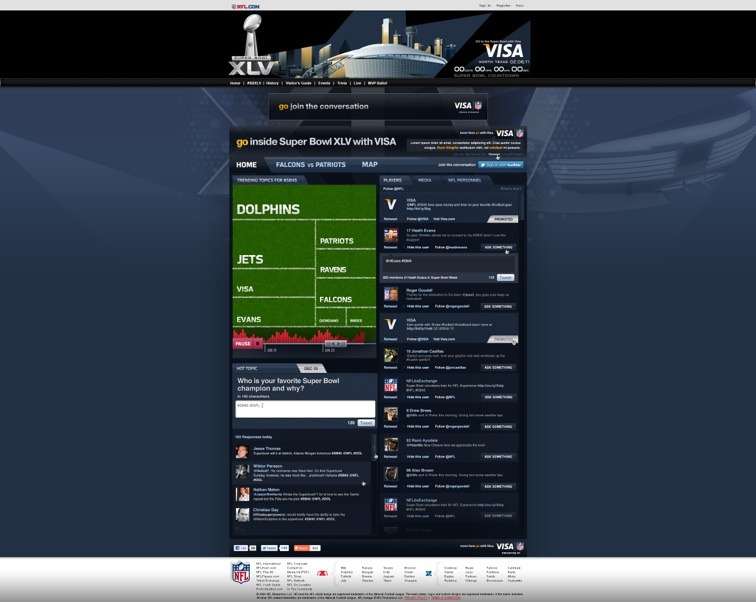 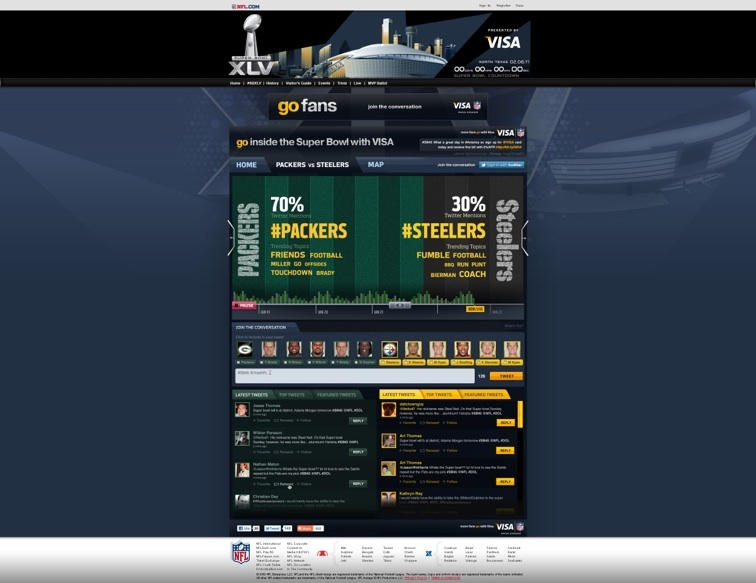 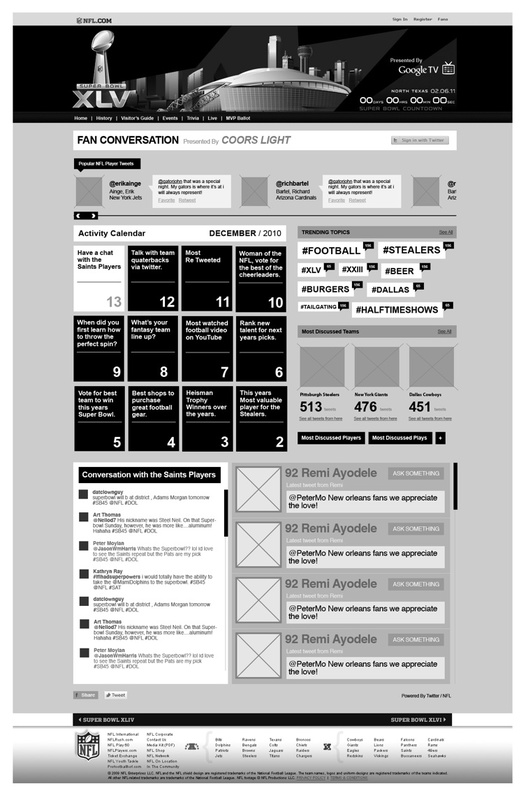 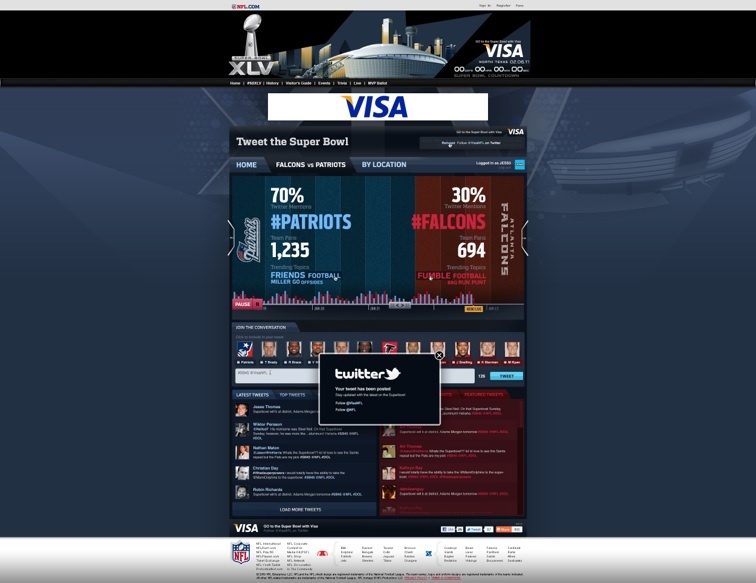 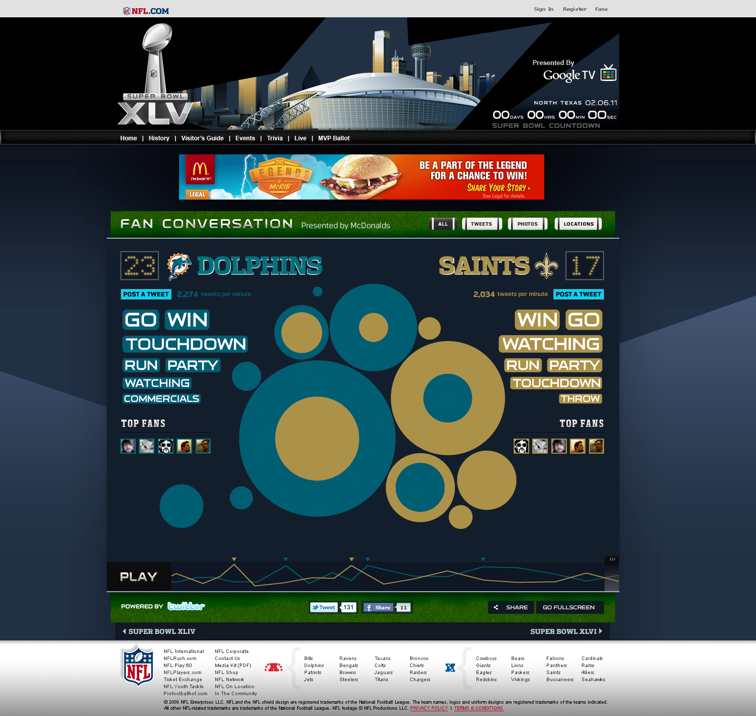 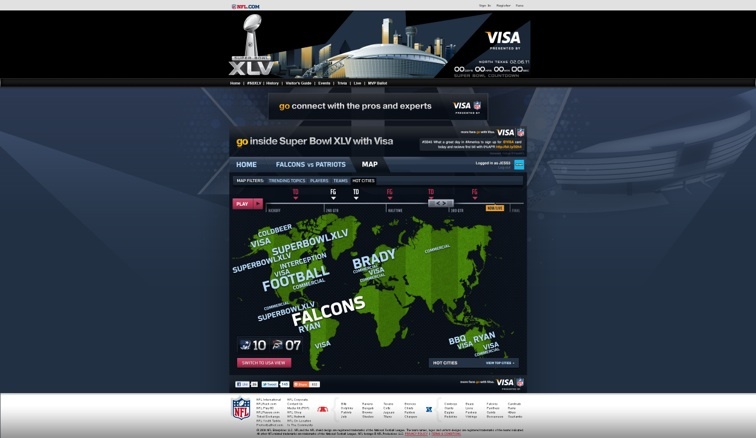 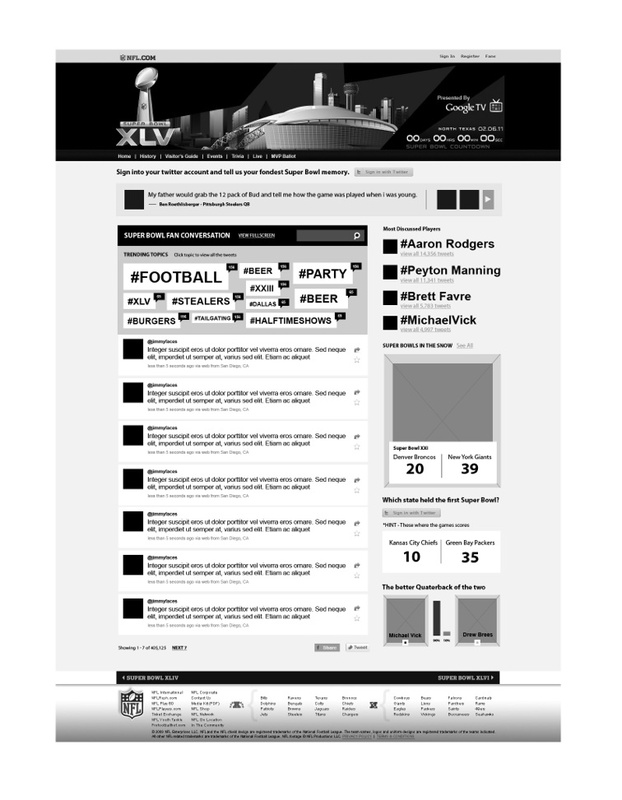 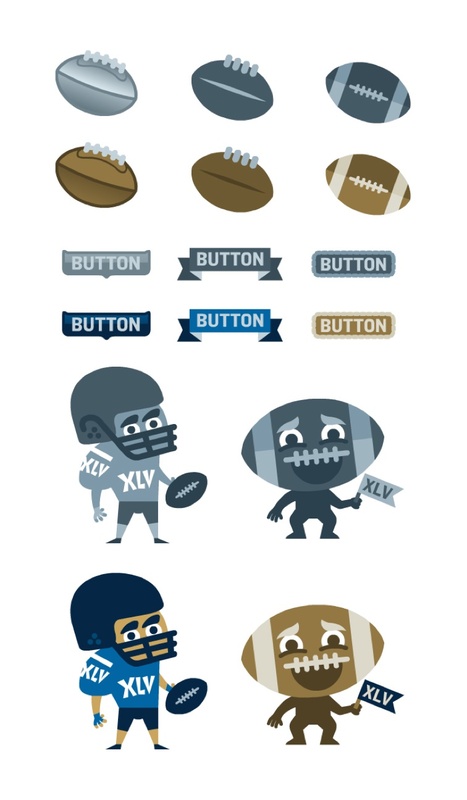 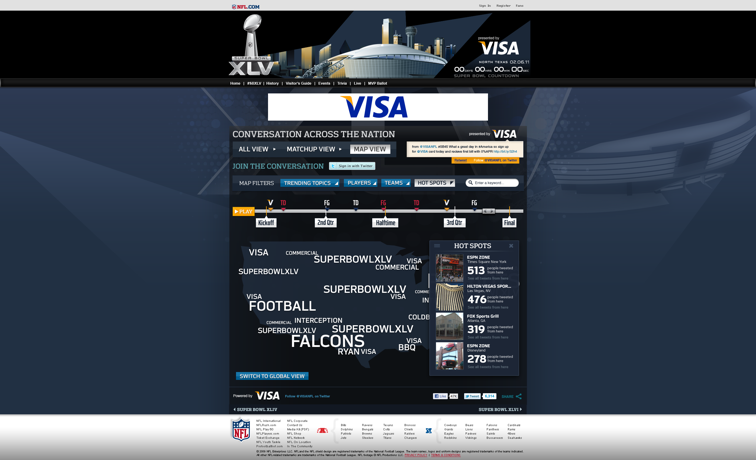 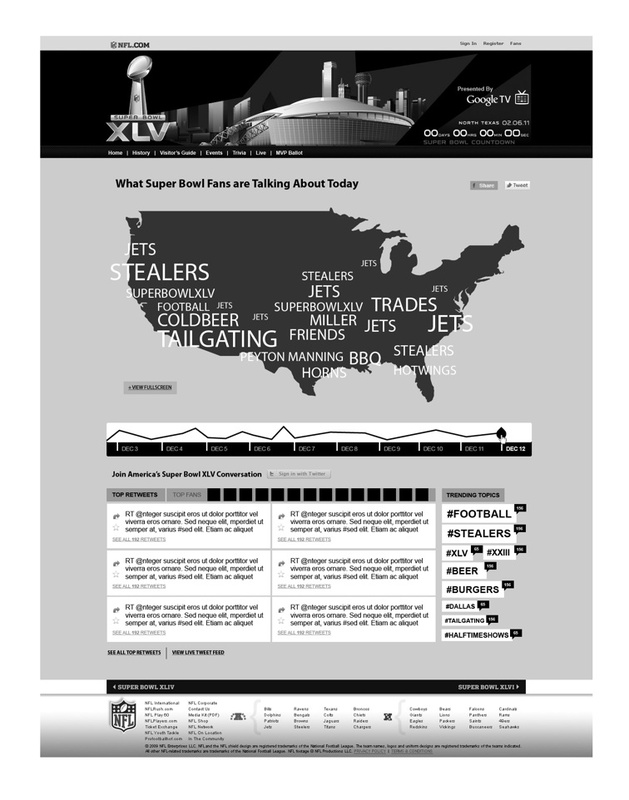 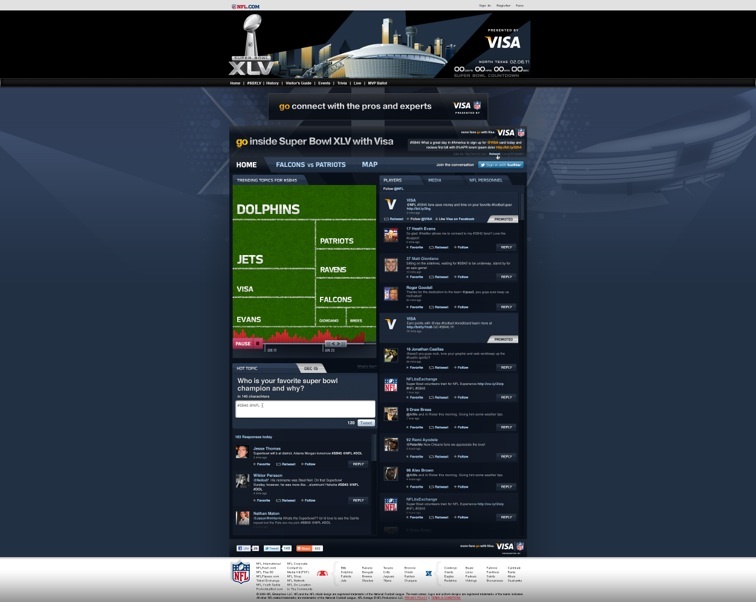 Along with Twitter, Visa and the NFL, JESS3 set out to create the ultimate dashboard for the consummate football fan. 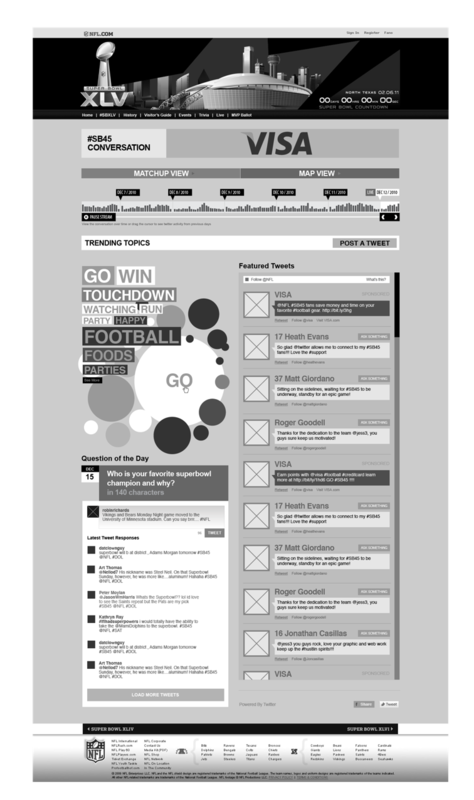 Part of creating a one stop shop was filtering and organizing the most important Twitter profiles and tweets. 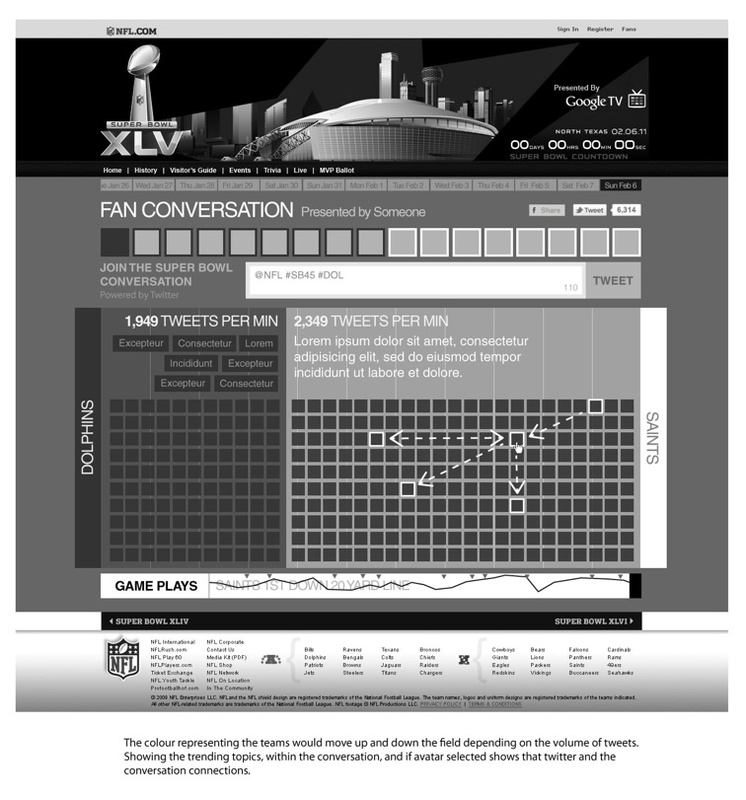 There was a dedicated area for tweets from NFL personnel as well as a separate area for tweets from official team members. 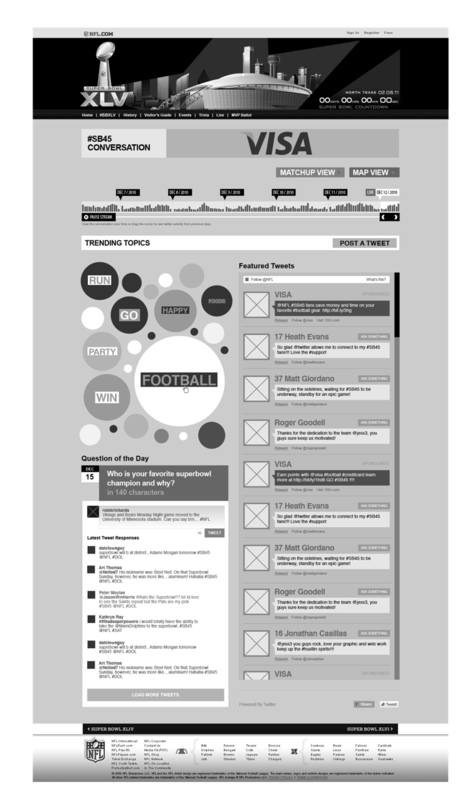 We also experimented with showing trending topics and regional interest, both of which had dedicated views. 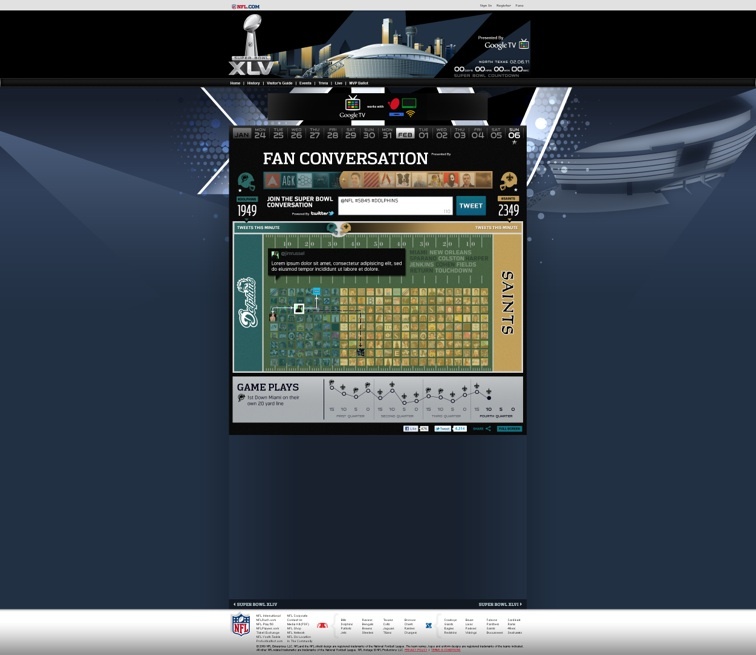 Last, but certainly not least, we included a Twitter dialogue box for users to join the conversation. 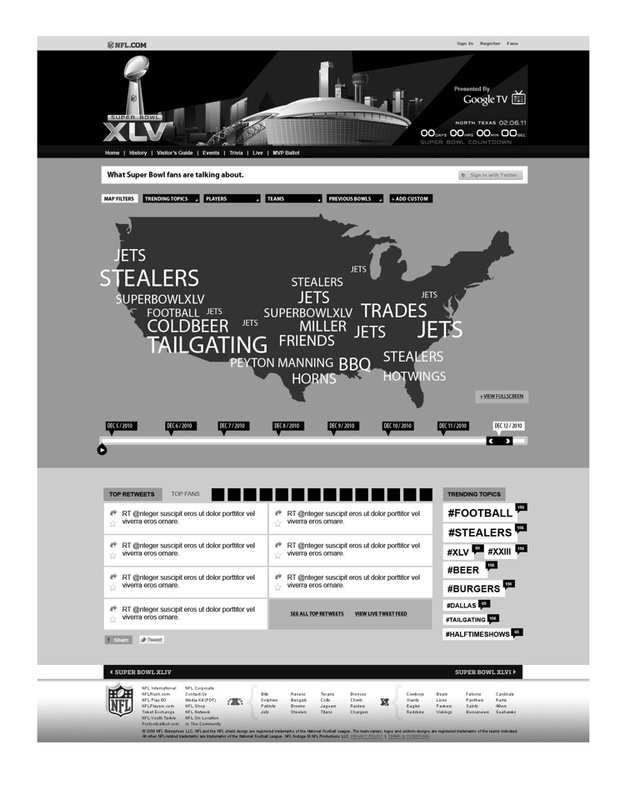 In addition to designing and developing a fully interactive website, we also created a mobile optimized version. 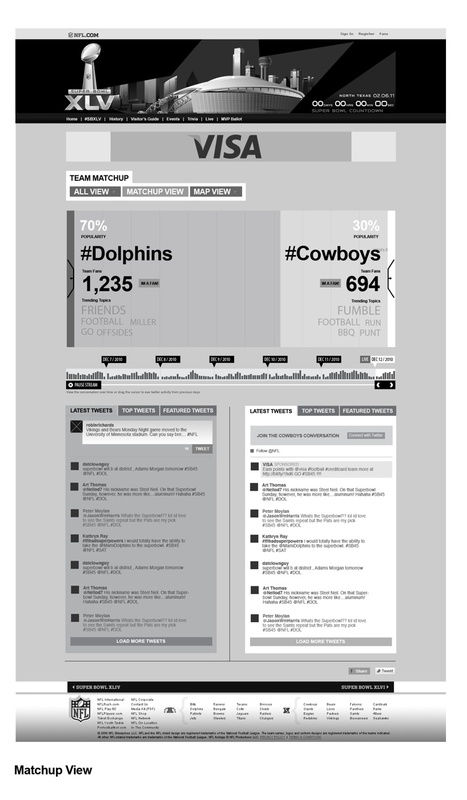 All told, JESS3 processed over 2.4 million super tweets leading up to and during the game itself.